Congratulations to Matt McKnight, who has been promoted to Chief Archeologist at the Maryland Historical Trust, the position previously held by Dennis Curry, who retired in late 2017. After graduating from Southeast Missouri State University with a Bachelor's degree in Anthropology and a minor in Historic Preservation, Matt went on to get his MA and PhD degrees from Penn State University. 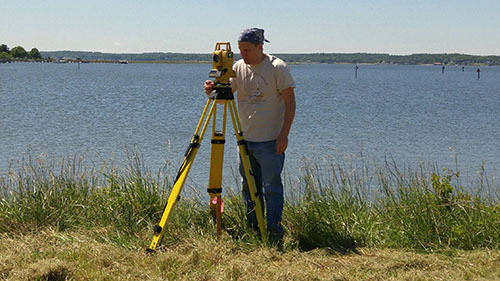 Matt joined MHT in 2007 as a research archeologist; in this capacity, he was responsible for the Archeological Synthesis Project, handling the monumental task of analyzing every Phase II and Phase III report in MHT's library. Since 2013, he has continued to undertake additional responsibilities relating to survey and GIS collection, overseeing non-capital grants related to archeology, conducting research and fieldwork, and providing technical assistance to staff and our constituents. As Chief, Matt will have overall direction of the MHT Archeology Program and will lead archeology staff detailed to MHT's various offices, as well as coordinating activities with the MAC Lab and our external customers.